The Economy of Communion is at a turning point. After 17 years the early enthusiasm is no longer enough. We need a more mature participation, not to discourage us because of unsuccessful events and delays, but to help us persevere in establishing the foundation of an economy marked by fraternity and is, at the same time, sustainable and vital, of which Chiara’s prophecy gave us a glimpse. This idea seems to be the best interpretative key for giving you a report on the annual meeting of those responsible for the EoC held in Castelgandolfo from the 23rd to the 26th of October 2008. Someone spoke of a “mini-synod” to characterize the purpose of the dialogue that took place and the re-launching of the EoC that occurred there. All together, there were about 150 among members of the European local commissions and a significant present of representatives from other continents, all there in the capacity of "fathers and mothers” of this synod. To speak of dialogue is very appropriate. The working program revolved around the discussion of the rough-draft for the EoC regulations and an updated version of the “Guidelines on how to run an EoC business”, that we are planning to vote on at the 20th anniversary of the EoC that will be celebrated in Brazil in 2011 (a rough draft of the Guidelines which were further elaborated at the November meeting of 2007, can be found right after this). What emerged was, besides the diversity of ideas, the richness of the experience lived so far, and which will always remain as the most precious and vital thing to communicate and share. There was also dialogue over the new census of EoC enterprises which everyone saw as a new opportunity to have a relationship between the zonal commissions and the entrepreneurs. Some of the entrepreneurs had wished to revive their contact with the commissions but with time it had become more sporadic; others felt the thrust to renew their assumed commitment, while others reached the conclusion that they could no longer remain as EoC businesses because their partners are not in agreement with the EoC principles. Many of these, however, decided to stay within the EoC as individual persons. The census is not based on sending forms to fill out; it just requires members to find the time and the proper moment for some in depth talks, often in the presence of at least two commission members. Only one commission was able to complete the count. The number obtained so far is 39 businesses that, in the course of time, had remained members and to some extent participated. Of these, 26 plan to continue because they have the necessary conditions to do it in a coherent manner. 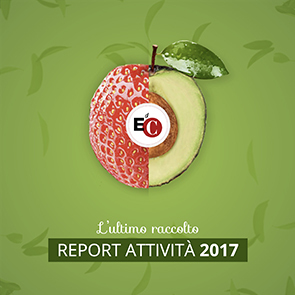 Another meaningful note is that many entrepreneurs intend to follow personally the Ideal life traced by Chiara Lubich, but they never expressed the intention to adhere to the EoC proposal, although they are familiar with it. Is it a proposal that is considered too demanding, or in some cases poorly interpreted, or even maybe poorly presented? A commitment that one of the Italian commission gave itself is to keep in continuous contact with these entrepreneurs, sharing and valuing whatever they are already doing in the line of the EoC. More than one attendee highlighted the opportunity and at the same time the fruitfulness of always opening up the project to new subjects. These subjects might include groups and associations of entrepreneurs belonging to various churches or spiritual movements, particularly in France and in Germany (especially after the two ecumenical gatherings in Stuttgart). The local commissions took upon themselves for the immediate future, among other tasks, two that are good to mention. The first is to continue the schools of spiritual education and formation for the EoC that seem to be just right to maintain and cultivate the identity of the projects and to assure the continuity of contacts among those who participate. For such purposes it seemed useful to meet regularly and with fixed dates as they do in Argentina. The second commitment is the starting up or the development of the Productive or Industrial Parks, for these offer a unique opportunity to make the EoC visible from the outside and also provide the conditions that are particularly favorable to reach a true realization of the EoC project in its more demanding aspects, like the sharing of profits and the trying out new forms of organization and governance. In the final session the sharing that took place spontaneously by many of the participants showed, together with the joy and gratitude for the fraternity lived in those days, the depth of their adherence to the Ideal of an economy of communion and the seriousness of their determination to realise it. The main positive note of the gathering was, as someone observed, the great fact that the EoC can count on people like these (and many others spread all over the world), capable of believing and going on with their commitment without waiting for directions or for anyone else, nor stopping in the face of the inevitable difficulties.